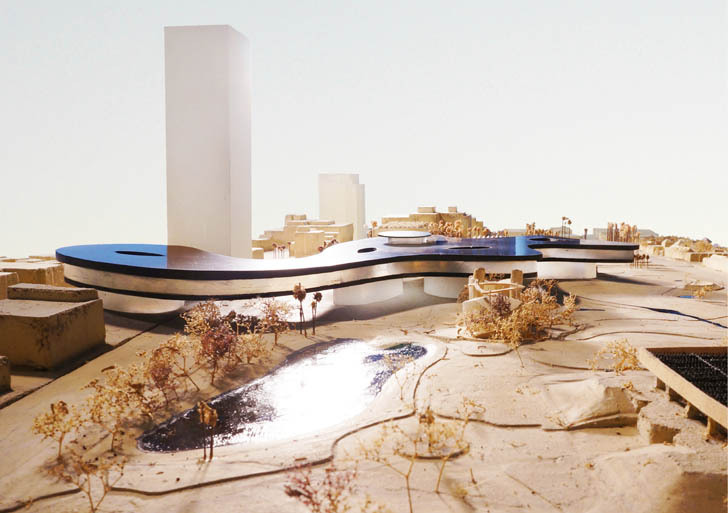 Peter Zumthor and the Los Angeles County Museum of Art (LACMA) just unveiled revised plans for the museum’s new solar-powered campus. While the architect kept the distinctive sinuous glass and concrete facades, the new version shows part of the museum extending as a bridge over Wilshire Boulevard. It also withdraws from the boundary the nearby La Brea Tar Pits, preserving the paleontological site. 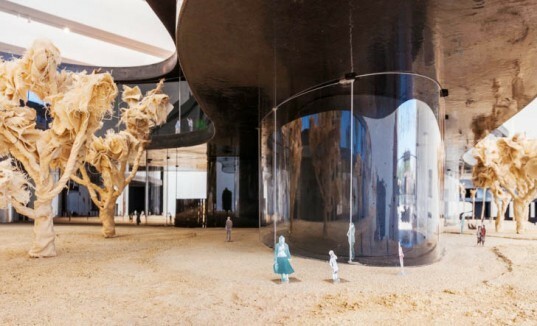 Zumthor’s plans for LACMA’s new campus on Museum Row in Los Angeles is a meandering structure with double-height, glazed openings and a fluid form that creates a feeling of continuity. The $650 million museum will have rooftop solar panels which will provide enough power for the building’s operation and feed excess energy into the local grid. The project is being revised due to criticism regarding its position and influence on the adjacent La Brea Tar Pits – an active paleontological research site and popular tourist attraction. The building’s new shape creates a larger distance between the museum and the pits, while the view of the boulevard from the new bridge adds an interesting dimension to the museum. It is likely that the design will go through more changes before it finally breaks ground. Zumthor’s plans for LACMA’s new campus on Museum Row in Los Angeles is a meandering structure with double-height, glazed openings and a fluid form that creates a feeling of continuity. The $650 million museum will have rooftop solar panels which will provide enough power for the building’s operation and feed excess energy into the local grid. The project is being revised due to criticism regarding its position and influence on the adjacent La Brea Tar Pits - an active paleontological research site and popular tourist attraction. The building's new shape creates a larger distance between the museum and the pits. The new design is likely to go through more changes before it actually breaks ground. The view of the boulevard from the new bridge adds an interesting dimension to the museum.